There’s a movement underway to eliminate discrimination in consumer products and services such as car insurance. While New Brunswick and Nova Scotia are already underway, this concept isn’t active in Ontario yet. As a result, young drivers still pay more for policies, based on the statistical trends for their age group. Insurers use a number of factors to establish the cost of a single car insurance policy. A major factor is of course, the personal history of a driver, as well as demographic group into which the driver fits. This adds up for young drivers, creating conditions that result in high insurance prices. 1 Why is Car Insurance Expensive for Young People? 2 How Can a Young Driver Keep Car Insurance Costs Down? Why is Car Insurance Expensive for Young People? As a group, drivers under 25 statistically have more frequent car accidents. These accidents tend to be more severe, resulting in more expensive insurance claims than average. This means increased risks to insurance providers. More risk means higher prices for insurance. While the behavior of a large group may not have a bearing on how safe an individual drives, most insurers use wide-ranging demographic information as part of the formulas they use to create premiums. When insurance companies look at individual drivers, they focus on the history that driver has. Traffic tickets and previous claims give some idea of how safely a driver operates vehicles, particularly when observed over a long period of time. Young people in Ontario are often 18 years of age or older before achieving full G status. 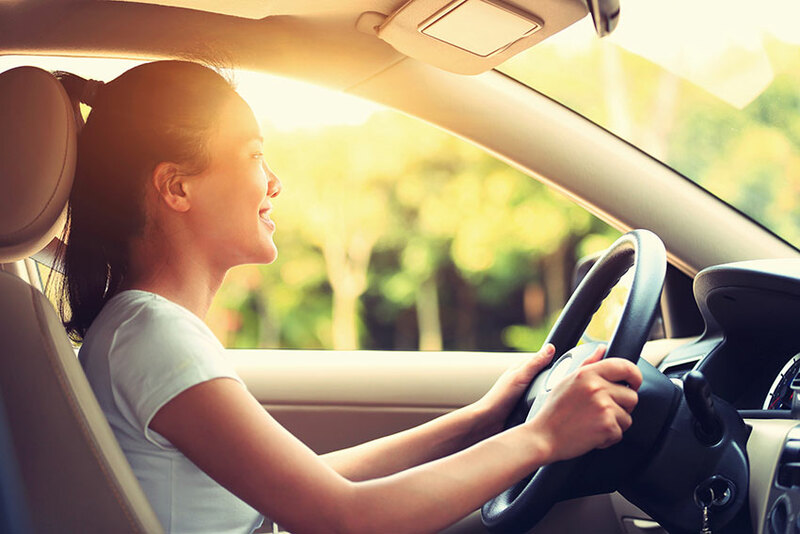 Though they may be named occasional drivers on their parents’ insurance from the age of 16 when receiving their G1 level, youth prevents them from establishing any significant driving history prior to the ownership of their first vehicle. Even the safest of young drivers can’t rush time, and this is the key factor in the reduction of car insurance costs. This is also why people associate the age of 25 with lower cost auto insurance. It’s not a hard rule, however. A young driver, licensed later than most, may experience higher premiums until establishing their history, regardless of age. How Can a Young Driver Keep Car Insurance Costs Down? With those key factors working against a young person, paying the lowest price takes planning. Since insurance history takes time, the sooner a driver appears on a policy the better. Even drivers with just a G1 license should list by name on a parent’s policy. Insurers don’t charge for G1 drivers due to the limits that level imposes. Using that strategy, a driver could have insurance history dating to age 16. Completing an approved driver training program often qualifies for discounts on insurance. Note that insurers only accept training certified by the Ministry of Transportation for discount purposes. Check the MTO’s list of approved driving schools before enrolling. Not every insurer may offer this discount. All insurance companies in Ontario can, within the limits of the Insurance Act, set their own rules. Therefore prices, features, and discounts vary between companies. Likewise, some companies recognize honours students for their increased sense of responsibility. Young drivers maintaining high-grade averages in high school may qualify for additional discounts. Again, not all companies offer this. Young drivers living in homes with multiple vehicles should be listed and restricted to the most affordably insured car. An older sedan or SUV insures for less than a newer high performance vehicle. Limiting the young driver to the older vehicle keeps their share of premiums down. If a young driver is away from home for school, inform the auto insurance company. While the driver should still be named on the policy, notifying the insurer that they have limited access to the vehicle. For this reason, may also provide a price break. Note that declaring these money-saving conditions to your insurer requires no proof. If you are falsely claiming conditions you may find claims refused after an insurance company investigates a claim. The insured driver’s must keep the company accurately informed. Not only can claims be rejected, your insurer could have grounds to cancel your policy. This may make both the young driver and the insured motorist high risk for future insurance policies. Young drivers find that some insurance companies offer better rates than the competition. Since every company sets its own underwriting rules, no two companies charge precisely the same for identical coverage. The secret to finding the best rate is aggressive shopping. This no longer takes hours or even days. Ratelab’s car insurance calculator searches dozens of car insurance partners for the lowest premiums on insurance that matches your needs. Simply enter your postal code on this page to start the short process. Ratelab’s calculator returns up to 10 low-cost quotes matching your needs. Armed with the lowest estimates, you’re prepared to negotiate the best deal.